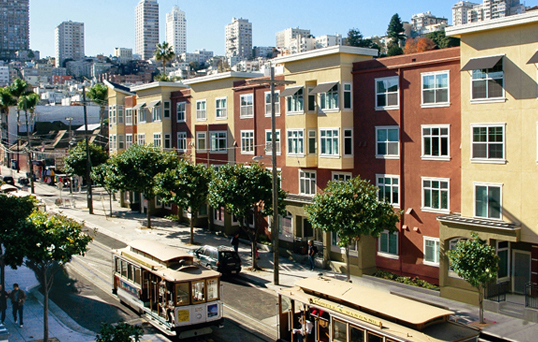 SPUR/SFHAC Lunchtime Forum: How Many Homes Should We Have? The Bay Area housing shortage leads many residents and businesses to cite housing affordability as the top issue facing the region. SPUR’s Tuesday, June 27 lunchtime forum poses the questions: Just how much housing does the Bay Area need to build? How much of that housing should be subsidized and for whom? Where are the opportunity sites to build? Co-presented by the San Francisco Housing Action Coalition (SFHAC), SPUR’s session “How Many Homes Should We Have?” brings together private and public sector perspectives on the Bay Area’s housing challenges: Ted Egan (San Francisco Office of the Controller), Pedro Galvao (NPH), James Pappas (San Francisco Planning Department) and Libby Seifel (Seifel Consulting, active SPUR/ULI/NPH member on housing issues). Please join the discussion on Tuesday, June 27 at 12:30pm at SPUR’s Urban Center (654 Mission Street). Tickets are free for SPUR members, $10 for non-members, and no pre-registration required. For more details/registration, visit http://www.spur.org/events/2017-06-27/how-many-homes-should-we-have. Click here to view the entire presentation!